Get fresh seasonal cut flowers, just in time for Mother’s Day 2016, and support OZCF’s non-profit educational mission! 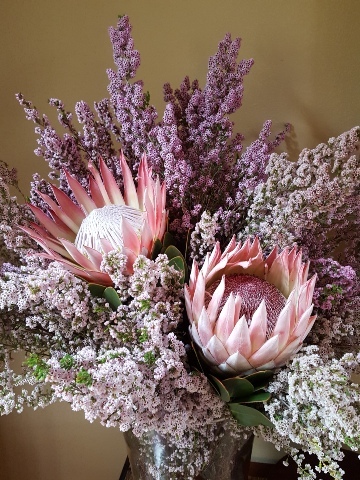 Choose from unique fynbos, herbs, edibles and the best seasonal flowers, either loose or styled just for you by a professional Okasie florist. Pre-order online your bouquet or vase now and collect at OZCF Market Day on Saturday 7 May, 9am-6pm (pre-orders needed by 12h00 on Friday, 6 May). Make Mom happy while making a difference through OZCF!